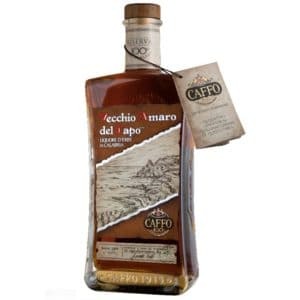 Vecchio Amaro del Capo is a herb based liqueur, the fruit of an ancient, Calabrese recipe further processed and improved with experience acquired over four generations of the Caffo family. 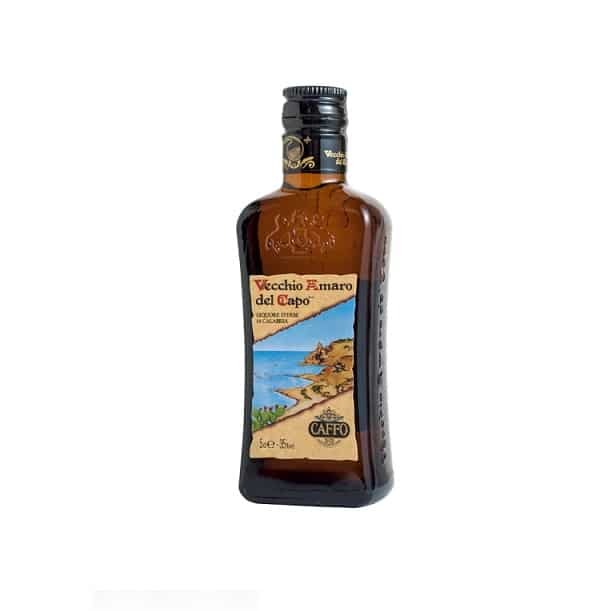 Vecchio Amaro del Capo encloses the active principles of plenty of beneficial herbs, flowers, fruit and roots from the generous land in Calabria, infused in the finest alcohol, to aid digestion and give a feeling of wellbeing. Among the 29 medicinal herbs composing the infusions, we recall some of the most widespread in Calabria, due to their tonic-digestive properties, such as bitter orange, sweet orange, liquorice, mandarin, camomile and juniper. 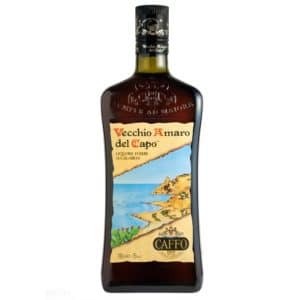 Its delicate and aromatic taste also adapts well to more delicate palates, not used to “Bitter drinks” and remember, as the best Calabrese tradition says, they should be drank frozen (at –20° C in small, characteristic “Capo” glasses) to emphasise the characteristics of the particular herbs composing them. 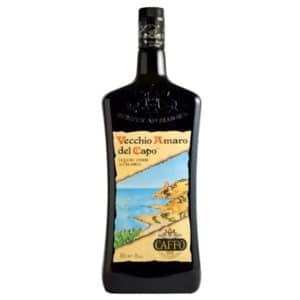 Today, Vecchio Amaro del Capo is among the most widespread sold in Italy and boasts the fact it was the first bitter beverage to be proposed frozen in the slogans launched by the company way back in the Seventies when consumption was mainly in the summer and it was only distributed in Calabria. 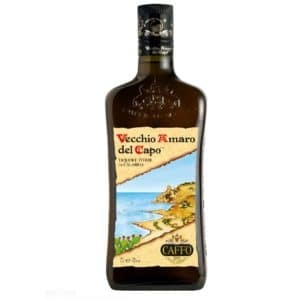 In 2010 Vecchio Amaro del Capo was the only Italian bitter beverage to be awarded the gold medal in a worldwide competition in Brussels.